When you own a high dollar vehicle you assume the risk of theft due to certain model vehicles being a potential beacon to thieves. 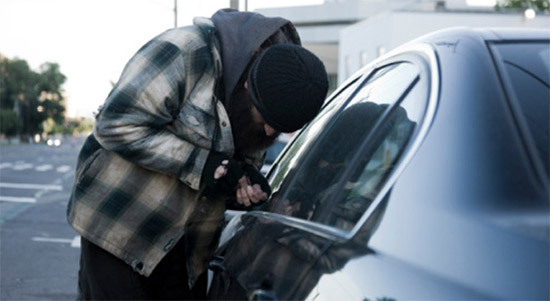 It is an unfortunate side effect of owning these highly coveted vehicles but with GPS vehicle trackers you can help protect your vehicle from thieves and avoid loss due to profit-motivated theft. A GPS tracker can notify you in two ways that your vehicle is being moved without your authorisation …. GPS vehicle trackers use a feature called geo-fencing. A geo-fence is a virtual electronic perimeter which is set by GPS co-ordinates – for example, you could set a 250 metre radius circle perimeter (geofence) around a central object (i.e. your vehicle). The geo-fence is an invisible assigned perimeter. It does not affect any other electronic device or other people’s property. If the installed GPS vehicle tracker detects that the vehicle has moved outside of that circle perimeter (geofence) it will send an alert either by SMS text or by email (you can set this in the tracker software). This alert will allow you or someone else to check your vehicle. If it is missing you can immediately notify the police. The theft has just occurred and you can track the thief using the tracking software features of the GPS vehicle tracker. Most vehicles have a car alarm system fitted. If the output of the car alarm (similar to the siren) is wired into the GPS vehicle tracker it can be used as a notification system that the alarm has been triggered. When you receive the alarm notification via SMS text or email, you will be able to take action to stop a theft, alert the authorities that a theft has occurred and then provide valuable information to authorities to help recover the vehicle. Though this feature is not available for all GPS trackers on the market. GPS vehicle trackers like the fleetminder FM Lite have the option for alarm connection. When thieves decide to target your vehicle fight back and protect your assets with GPS vehicle trackers and use the tools they provide to stop loss before thieves have a chance to steal and strip down your vehicle for profit.